In Search For Cures, Scientists Create Embryos That Are Both Animal And Human : Shots - Health News Researchers experimenting with chimeric embryos say they could develop into adult pigs, sheep or cows with human organs that one day might be suitable for transplantation in people. But some scientists and bioethicists worry the creation of these interspecies embryos crosses the line. "You're getting into unsettling ground that I think is damaging to our sense of humanity," says Stuart Newman, a professor of cell biology and anatomy at the New York Medical College. "We're not trying to make a chimera just because we want to see some kind of monstrous creature," says Pablo Ross, a reproductive biologist at the University of California, Davis. "We're doing this for a biomedical purpose." Like human embryonic stem cells, iPS cells can turn into any kind of cell or tissue in the body. The researchers' hope is that the human stem cells will take advantage of the void in the embryo to start forming a human pancreas. Because iPS cells can be made from any adult's skin cells, any organs they form would match the patient who needs the transplant, vastly reducing the risk that the body would reject the new organ. But for the embryo to develop and produce an organ, Ross has to put the chimera embryos into the wombs of adult pigs. That involves a surgical procedure, which is performed in a large operating room across the street from Ross's lab. Ross then rushed over with a special syringe filled with chimera embryos. He injected 25 embryos into each side of the animal's uterus. The procedure took about an hour. He repeated the process on a second pig. The uncertainty is part of what makes the work so controversial. Ross and other scientists conducting these experiments can't know exactly where the human stem cells will go. Ross hopes they'll only grow a human pancreas. But they could go elsewhere, such as to the brain. "If you have pigs with partly human brains you would have animals that might actually have consciousness like a human," Newman says. "It might have human-type needs. We don't really know." 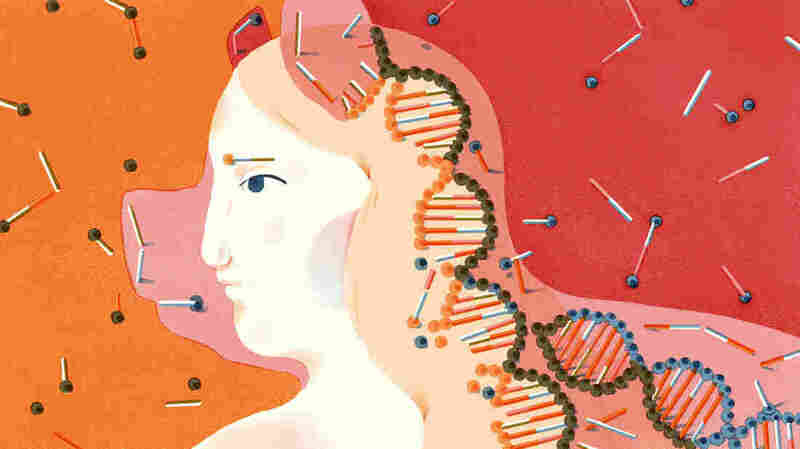 "One of the concerns that a lot of people have is that there's something sacrosanct about what it means to be human expressed in our DNA," says Jason Robert, a bioethicist at Arizona State University. "And that by inserting that into other animals and giving those other animals potentially some of the capacities of humans that this could be a kind of violation — a kind of, maybe, even a playing God." Ross defends what his work. "I don't consider that we're playing God or even close to that," Ross says. "We're just trying to use the technologies that we have developed to improve peoples' life." Still, Ross acknowledges the concerns. So he's moving very carefully, he says. For example, he's only letting the chimera embryos develop for 28 days. At that point, he removes the embryos and dissects them. If he discovers the stem cells are going to the wrong places in the embryos, he says he can take steps to stop that from happening. In addition, he'd make sure adult chimeras are never allowed to mate, he says. "We're very aware and sensitive to the ethical concerns," he says. "One of the reasons we're doing this research the way we're doing it is because we want to provide scientific information to inform those concerns." 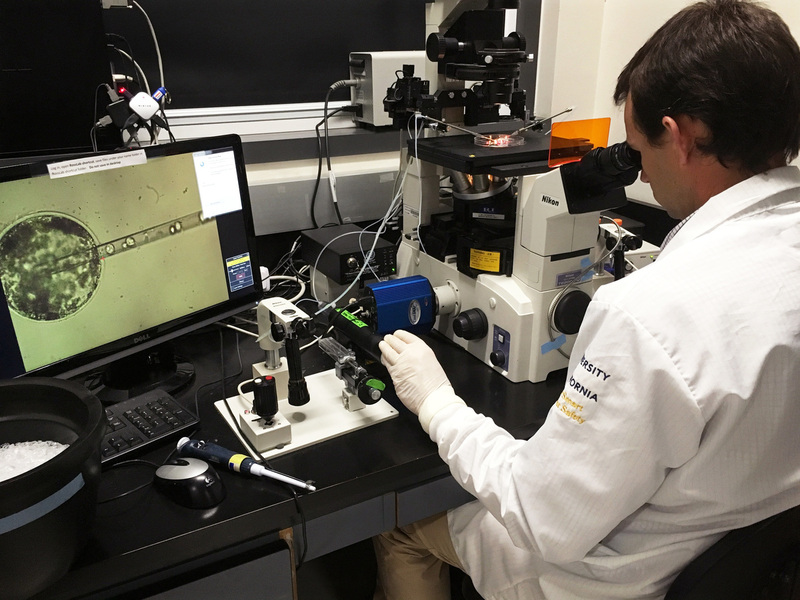 Ross is working with Juan Carlos Izpisua Belmonte from the Salk Institute for Biological Studies in La Jolla, Calif., and Hiromitsu Nakauchi at Stanford University. Daniel Garry of the University of Minnesota and colleagues are conducting similar work. The research is funded in part by the Defense Department and the California Institute for Regenerative Medicine (CIRM).